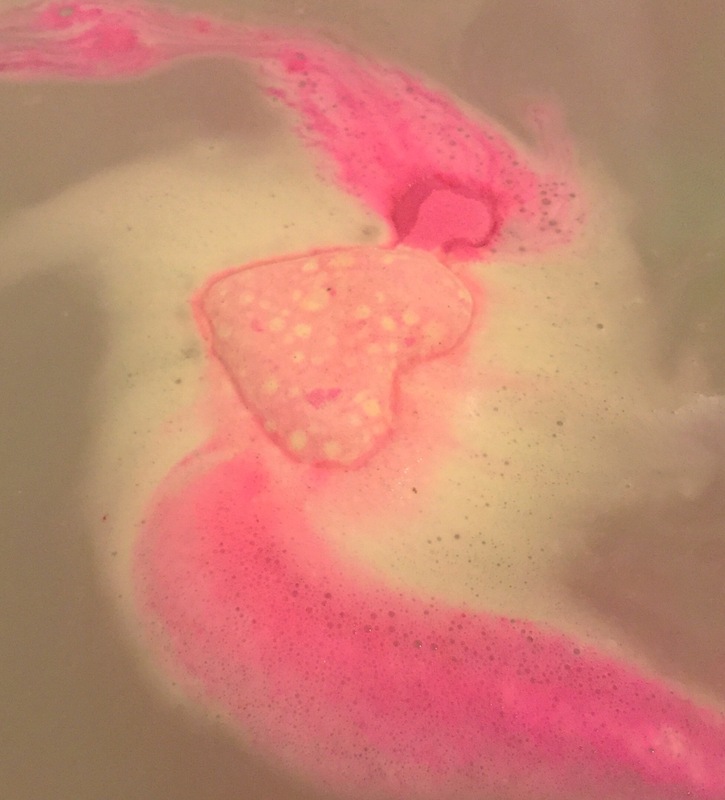 The Cupid Bath Bomb is the most perfect Valentine’s Day product ever! 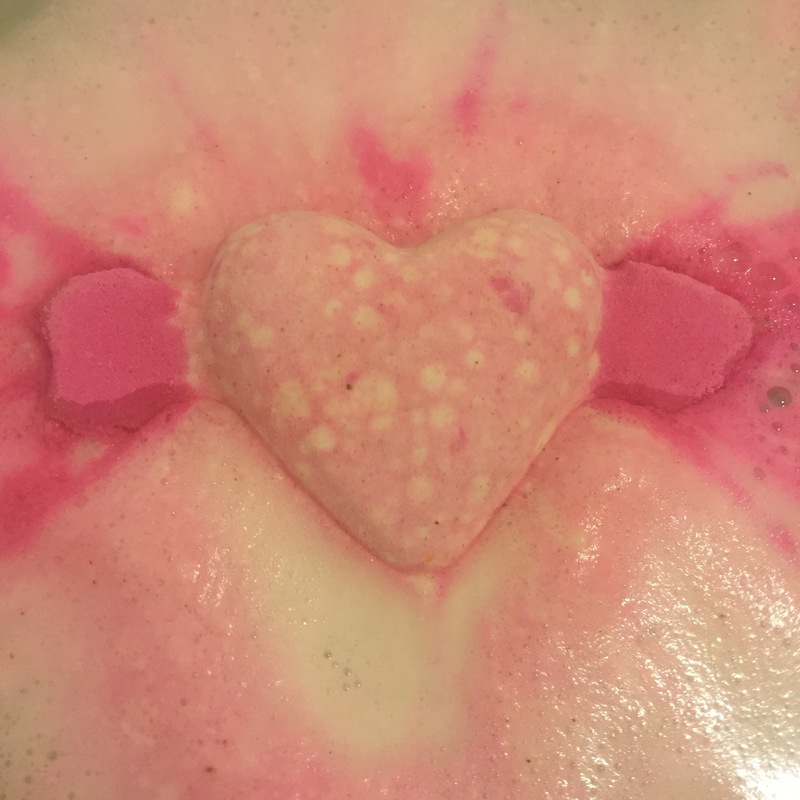 Designed in the shape of a beautiful light pink heart complete with its own cupids arrow, this bath bomb is super pretty and super romantic! I absolutely love how creative Lush can be with their products and this is one of my favourite bath bomb designs ever. 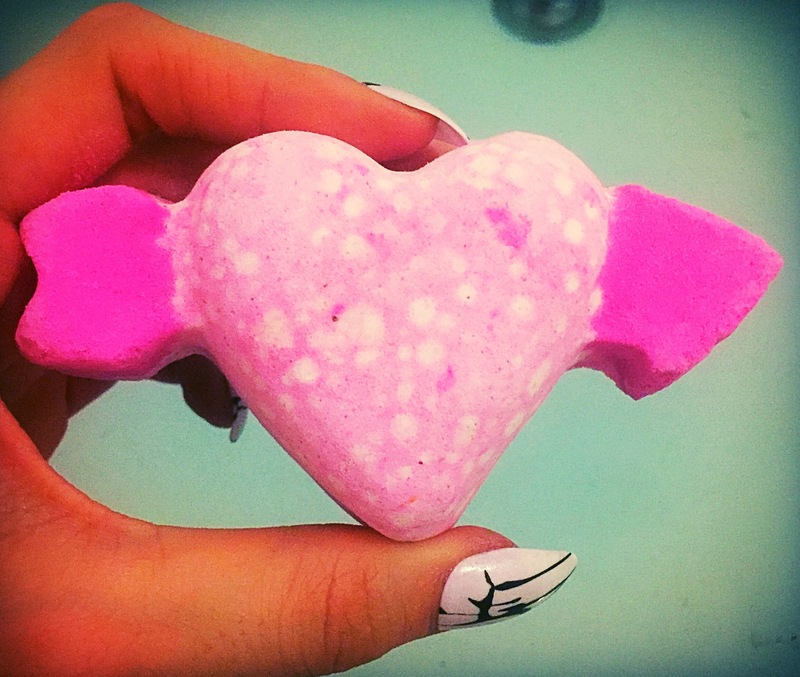 This little pink heart is a lot smaller than your average bath bomb, but don’t worry the price is also a lot smaller and you can pick the pretty pink bath bomb up for just £2.95 making it very purse friendly. This bath bomb also makes the ideal little gift for a loved one this Valentine’s Day. 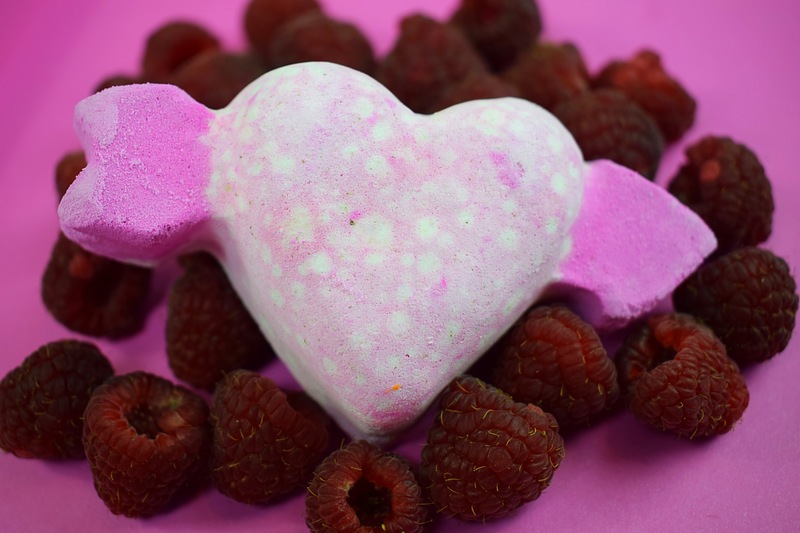 The Cupid Bath Bomb has a whole range of delicious fresh ingredients including raspberry juice, rose petal powder and violet leaf absolute. This give the bath bomb a wonderful fresh, fruity and slightly floral scent. I was quite surprised to find that this bath bomb isn’t overly sweet and had more of a subtle natural sweetness from the fruity ingredients . If you have tried the Razzle Dazzel bath oil before this bath bath shares the same scent as this bath oil. Once popped in the water the Cupid Bath Bomb is quite a slow fizzer. As it floats across the water is released swirls of baby pink and white foam creating a relaxing and romantic bath time experience. The water turns a beautiful subtle shade of pink and the scent heightens with the warmth of the water to lift your spirits and leave you feeling calm and collected. Overall although not a favourite scent of mine, I really enjoyed this product. I adored its cute design and due to its small size I found that the scent of this product wasn’t too overwhelming once in the water.